Here at Kitsch Collars HQ I make collars for all dogs. Sighthounds are my speciality being one of the first professional martingale collar makers here in the UK. 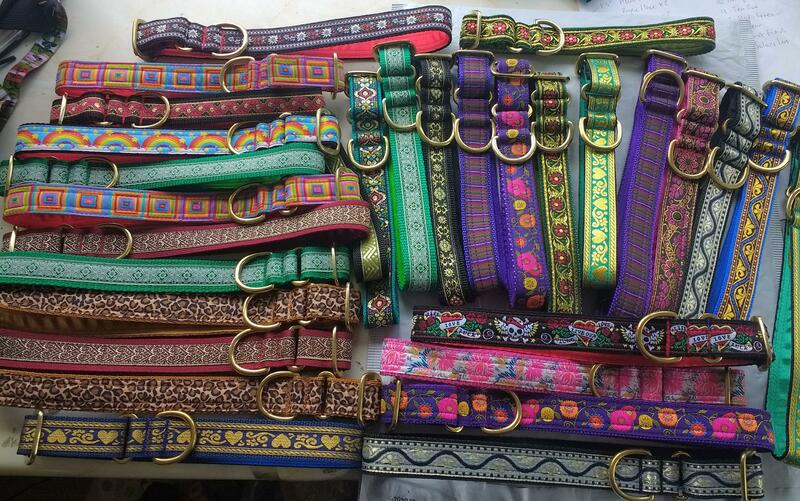 My collars range in size from 7" up to 36" so far but if you have a larger dog let me know! Collars are all washable in a machine and I endeavour to choose trims that are robust. These collars are certainly not just for best.. some customers replace only after many years have passed. I have styles and widths to suit every dog. 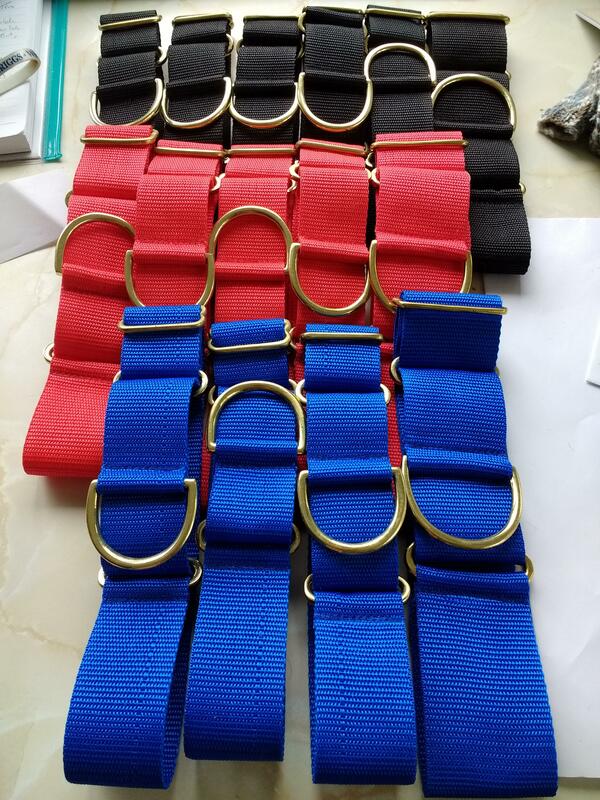 Please also see the matching swiss velvet leads. In two widths, washable and in a range of colours to match every collar.